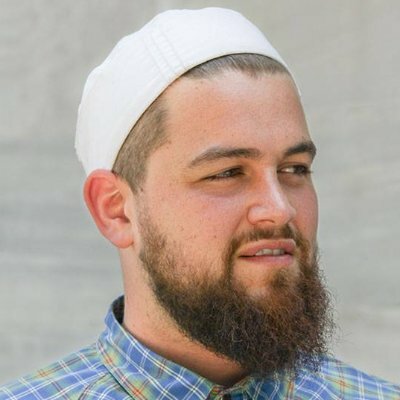 Ustadh AbdelRahman Murphy is a graduate of the University of Illinois at Chicago, with a Bachelorâ€™s in Teaching of English and Religious Studies. He is currently pursuing his Masterâ€™s in Mental Health Counseling. He has served as a youth director, Muslim chaplain, and assistant imam in a full-time capacity since 2009. His Islamic studies background includes completing an Imam Certificate Program in Makkah, Saudi Arabia under the mentorship and training of Shaykh Khalid Hilwany. While growing up in the Chicagoland area, he spent two years studying at Riyadh As Saliheen Institute under Shaykhs Ehab Ash-Shaer and Abu Abdullah. While finishing his university studies, he benefitted directly from the training and teaching of Professor Omer Mozaffar in areas of Quran and texts of Imam Ghazali. After graduating with his BA, Ustadh AbdelRahman moved to Dallas, where he began reading classical texts with Shaykh AbdulNasir Jangda. In May of 2014, he formally graduated from the Qalam Seminaryâ€™s one-year program. Currently, he is continuing his study of the Quran and Imam Ghazaliâ€™s text with Professor Omer Mozaffar, and is working to complete his coursework of the Dars-e-Nizami curriculum directly with Shaykh AbdulNasir Jangda.